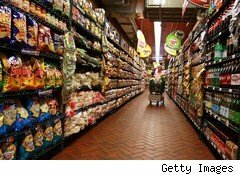 U.S. food prices have been rising in the last year, but it seems the growth is only just beginning. A sharp jump in commodities' prices this year will soon result in sticker shock for American consumers. Large food companies have recently announced that they will raise the prices they charge grocery retailers for commodities-based products. For example, a chocolate bar will cost more soon: Hershey last week announced a 10% increase for most of its confectionery goods. Of course, straightforward price hikes could cause consumers to buy less of those products or to choose less costly store brands. So in many cases, food companies are trying a different tactic: Keeping the price of an item the same while decreasing the amount of food in the package. The company recoups the costs of the rise in commodities and hopes consumers don't notice that they're getting less of the product for the same price. 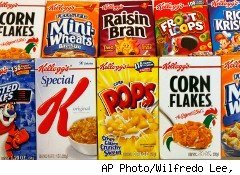 Kellogg, which makes cereal such as Apple Jacks and Corn Pops, has passed higher grain costs on to consumers. In 2008, the company reduced the amount of cereal in its boxes by an average of 2.4 ounces. 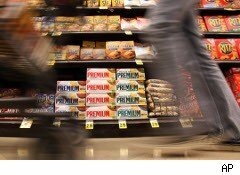 And in February, the company announced that it will raise the price of its cereals 3% to 4%. According to a U.S. Agriculture Department report in March, "higher wheat commodity costs should begin to affect cereal and bakery product prices over the next few months, causing prices to rise 3.5% to 4.5% overall in 2011." 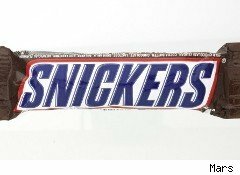 Supposedly in response to pleas from obesity activists, the Mars Company split their "King Size" Snickers bar in half so that it could be more easily shared between two people. What calls the nobility of the company's intentions into question is that, in addition to making the cut, Mars also reduced the total amount of candy in each package from 3.7ounces to 3.29 ounces -- an 11% decrease -- while keeping the price the same. A series of prolonged frosts last year sent citrus prices up 11.5% and drove up the price of frozen orange-juice concentrate to several-year highs. Meanwhile, the cost of transporting the concentrate has gone up as gas prices have increased. 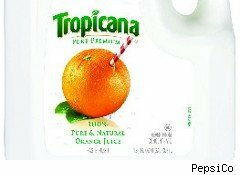 In response, Tropicana has made two adjustments: It increased the price of its gallon jugs by 5-8% and stealthily reduced the size of its half-gallon cartons from 64 ounces to 59 ounces. This 5-ounce reduction represents nearly an 8% decrease in size. The luxury-ice-cream company reduced the size of its standard container to significantly less than a pint, cutting it 12.5% from 16 fluid ounces to 14 fluid ounces. To make the smaller package less obvious, the company cleverly kept the top the same size, so it looks identical from above, but tapers dramatically in the middle. 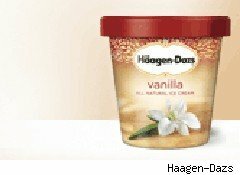 Haagen-Dazs's cheaper brands, Edy's and Breyer's, have cut their portions as well. Daily prices increased just over 1% in 2010, but are expected to rise as much as 5.5% in 2011. 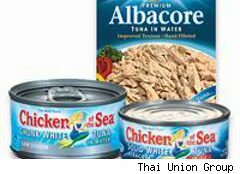 Chicken of the Sea's albacore tuna, previously sold in 6-ounce cans, now comes in 5-ounce cans. Rising tuna prices amid a worldwide shortage of the fish are partly to blame. Other tuna brands also have shrunk their can sizes, a trend which has been going on for years. Just over a decade ago, tuna was most commonly sold in 7-ounce cans. With all the air included in chips packaging, it is easy for manufacturers to reduce the amount of chips in the bags without drawing attention. PepsiCo reduced the Lay's "Family Size" potato-chip bag from 16 ounces to 14 ounces in 2009. 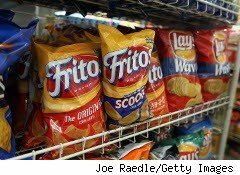 Bags of Doritos, Tostitos, and Fritos now contain 20% fewer chips than they did in 2009, according to The New York Times. Even smaller bags have been reduced by a quarter of an ounce. Rising gain prices have driven the changes. Earlier this year, Kraft introduced its "Fresh Stacks" packages for Nabisco Premium saltines and Honey Maid Graham crackers. The packages contain a higher number of smaller cracker sleeves, meant to do a better job of preserving freshness and making the crackers more portable. The entire "Fresh Stacks" boxes contain 15% percent fewer crackers than the original packages, however, and cost the same amount. Kraft is, undoubtedly, being hit by rising grain prices. "Fresh Stacks" may be one of the company's ways of passing costs on to consumers. Cocoa futures have more than doubled in the past three years, hurting chocolate companies. The Hershey Co. has just increased its wholesale prices by 9.7% across its entire product line. 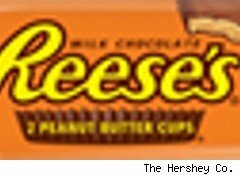 Its also introduced new Reese's "Minis," which are smaller than the classic Reese's "Miniatures" and cost more, according to The New York Times. Through FreshDirect, Minis cost $4.59 for an 8-ounce bag, while Miniatures cost $4.49 for 12 ounces. In other words, the Minis cost $0.57 an ounce while Miniatures cost $0.37 an ounce. Since June 2010, lumber futures have increased more than 80%. The cost of manufacturing paper products has gone up as well, and companies are reducing the size of paper-based products -- like toilet paper, moist towelettes and paper towels -- as a result. 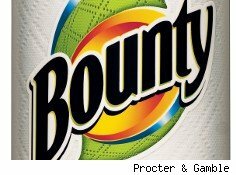 Proctor & Gamble recently cut the size of its Bounty 2-ply paper towel rolls from 138 sheets to 128 sheets. The company attempted to mask this change by advertising the roll as "25% thicker." Despite the increased thickness, the package reportedly weighs less. Proctor and Gamble competitor Kimberly-Clark has also reduced the size of its "Scott" paper-towel rolls. The cost of wholesale tomatoes more than tripled last year from the previous year, according to the USDA, and prices are expected to grow another 10% this year. 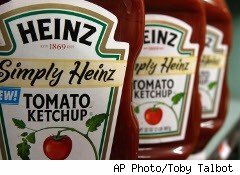 In response, Pittsburgh-based ketchup and condiment company Heinz has cut the portions of several key products, including its flagship Heinz 57 sauce, which now comes in a 4-ounce smaller package with no reduction in price.